are chickens, there is sure to be fried chicken. And where there is fried chicken, there's sure to be Damon Fowler, offering up an international collection of the world's best fried chicken recipes.Immerse yourself in such world-fried classics as these: From Asia, Chinese Golden Coin Chicken, Siamese Fried Chicken, or Chicken Malabar. From the Mediterranean basin, tender morsels of chicken fried in fluffy Florentine wine batter or Greek Fried Chicken, marinated in wine and a heady blend of spices. From South America, spicy, crunchy Chicharrones de Pollo--marinated chicken fried in crisp cornmeal breading. 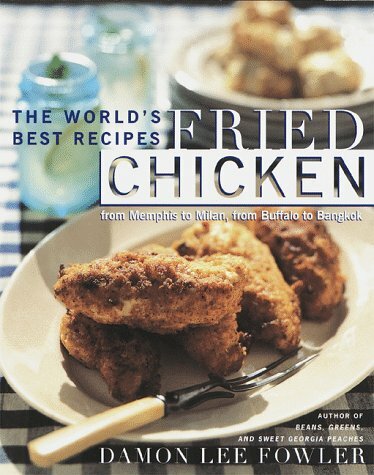 And naturally, this dyed-in-the-wool Southerner offers up an entire chapter on that subject nearest his heart, Southern fried chicken.